← October’s writing – write, delete, repeat. The first Judy Astley book I read, aptly as it was her first novel, was Just For the Summer. Set in a largeish village on the Cornish coast it concerns itself with the comings and goings of the second-homers, arriving for a few weeks with their Volvos full of children and Waitrose carrier bags. It struck a chord with me as I had spent so many childhood holidays in Fowey in Cornwall and we still go back there from time to time. One of the things that’s most noticeable now is that so many of the houses are second homes, empty for most of the year leaving it a ghost town and property prices are so high that local people on local salaries have no hope of buying a home in the town. And I am horribly aware that by staying a holiday cottage there I’m contributing to the problem. I thought that Just For The Summer might be depressing for that reason but Judy cleverly and wittily manages to be sympathetic, satirical and wry. Last year, on the 20th anniversary of Just For The Summer, Judy revisited her second home owners to update us on their lives. In between the literary bookends of those two books, Judy has written more than a dozen other books, all as witty, sharp and warm as each other. Judy and I have been Facebook friends for years and I know her to be funny and caring. She also lives on the river Thames near Eel Pie Island and her husband Jon has produced some of the most iconic albums of the last 40 years. 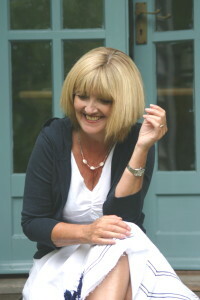 I love her writing – chick lit with an edge – and I was delighted to interview her. 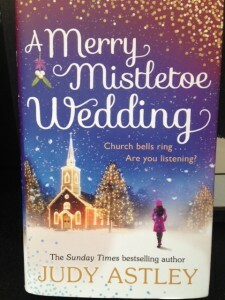 Her latest book – A Merry Mistletoe Wedding – is just out and I’m saving it for Christmas when I’m flopped on the sofa after a surfeit of sherry and plum pudding. Does “for money” sound grasping? I hope not, because for the past 25 years I’ve been lucky enough that writing has been the day-job so of course being paid is now a big part of the motive! Aside from that though, I love the feeling of having finished a story when it feels like a job well done, also the strange unexpected moments during the writing when you think, oh yes that’s the direction it should go. I’m an incessant chatterer too – so it’s probably a relief to most people that I communicate on the page rather than bugging them 100% of the time. Q. Were you a childhood scribbler or was writing something you came to later in life? I was a childhood scribbler – we had to be at my primary school. I think ‘Sir’ liked a bit of peace after lunch so most afternoons he’d set us a story to write. And then I remember being about nine and – in the holidays – putting together a magazine with my friend Jean. We had articles about local people and events and plenty of fiction. Q. How did you get your big break? I’d written my first novel, ‘Just for the Summer’ and had sent it to a few publishers who’d sounded enthusiastic but not keen enough to take it on. Transworld were running a novel competition, the Catherine Cookson Awards and I carefully packed the MS into a Liberty print folder and sent it off. 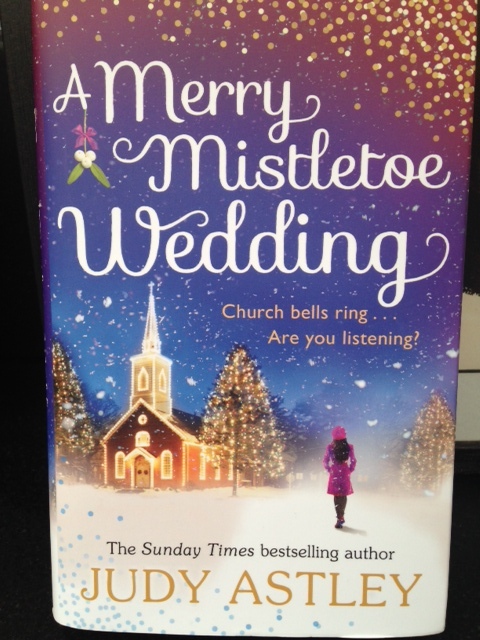 A few people in the office there read it and liked it and one day I got that magic call that we all dream of, from editor Linda Evans, saying it hadn’t won but they wanted to publish it anyway. Linda was then my editor for the next 25 years till she retired last May. Q. What’s your writing routine? Bustling café or silent solitude? Crack of dawn or midnight oil? Laptop or pen and paper? I’m a great procrastinator so I tend to dawdle about doing absolutely everything but write until I can smell the deadline starting to burn nearby. This means that the first few chapters take a long, long time to get going, but once the halfway mark has been reached I can hurtle on to the end pretty fast. I work at one of two desks in the house – either up in my bedroom, overlooking the Thames or down near the kitchen where I can see the green parakeets swinging upside down on the bird-feeder. I could never work in a café – I’d be concentrating on listening to other people’s conversations. I work best in the mid-late afternoon when the guilt at earlier laziness gets the better of me. Also, although I might not have been sitting down and getting the words out, thoughts will have gathered themselves by that time of the day and tend to rattle out pretty fast. I’ve got two Macs – the upstairs one is a biggish MacBook Pro and the downstairs one which I take with me if travelling anywhere is a little MacBook Air. I wish I’d bought another iMac instead of the Pro but the screen is quite big and easy to work with. I’m just not mad about the angle of viewing it and feel I’m getting a bit hunchy. Q. Which writer do you most admire and what would you like to ask them? The writers I most admire are sadly no longer with us. I love Nancy Mitford and Elizabeth Taylor and Barbara Pym. As for questions, I’d probably ask them much the same ones you’re asking me! Q. Which book do you most recommend to other people? It varies. A few years ago I bought about 8 copies of ‘How I Live Now’ by Meg Rosoff to give to other people as I was so enthralled by it. Long term, I’d say Nancy Mitford’s, ‘The Pursuit of Love’. Q. Which book would you most like to have written? Apart from N. Mitford’s (see above) and possibly Thackeray’s Vanity Fair, I’d love to have written all Jilly Cooper’s books – they are such a joyous delight. But I know nothing of horses! Q. Aside from writing, which skill or achievement are you most proud of? The day the clothes I’d designed and made were in the window of Liberty’s on Regent Street was pretty special. I was never trained as a designer but somehow ended up making clothes for that wonderful store for several years. Apart from that, having a painting of mine in the RA Summer Exhibition was terrific too. Ugh – not a term I like! I’m a bit two-sided here. I am a town woman so if you put me on Portobello Road and let me wander, I’m very, very happy. But I also love being in Cornwall and on a warm summer day in our garden there, with no sound but the birds and the flutter of a breeze in the leaves, it is absolutely bliss. Q. If you weren’t a writer, what would you do? Hmm… not sure I’m suited to anything else. I’m actually quite good at doing nothing but didlding about in the garden, planting stuff.. I did recently start looking at the job vacancies in the local garden centre, thinking how it might be rather lovely to have a job that didn’t take up so much brain space in the middle of the night, something you could just leave at 5 pm, no deadlines and so on. But they wouldn’t just let me water the plants and chat to customers about the best time to plant tulips (November, in case you wonder – never much earlier or they risk getting diseased) etc. They’d make me lug bags of compost about and get in a muddle on the tills so I think I’m too old to change now! Q. What aspect of the publishing industry would you like to change? Tricky one this. At risk of foot/shooting, I’d like to see it possible for an emerging brilliant new writer to become a best-seller without publishers having to pay serious folding money to launch them. All chart-positions, supermarket shelf-space, window displays, entry into certain promotions – these have to be paid for and readers mostly don’t know anything about that – they think it’s simply the luck of the draw. Mostly (with a few internet sensation exceptions) it isn’t – it’s about expensive PR campaigns. I’d like to see rather less of that. Q. What piece of advice would you give to writers? Find your own voice but if you want to write in a particular genre then read all the ‘opposition’ and be very familiar with it. If you’re looking for an agent or publisher, make sure you only apply to those who seek what you’re writing – otherwise you waste a lot of both your time and theirs. Thanks Judy for your time and sharing your thoughts with us and readers – if you haven’t read Judy’s books yet, what are you waiting for? This entry was posted in Author interviews and tagged fiction, interview, Judy Astley. Bookmark the permalink.